Varies, depending on how far you want to go! Watch out for ticks, which are frequent issues in the NYC parks. 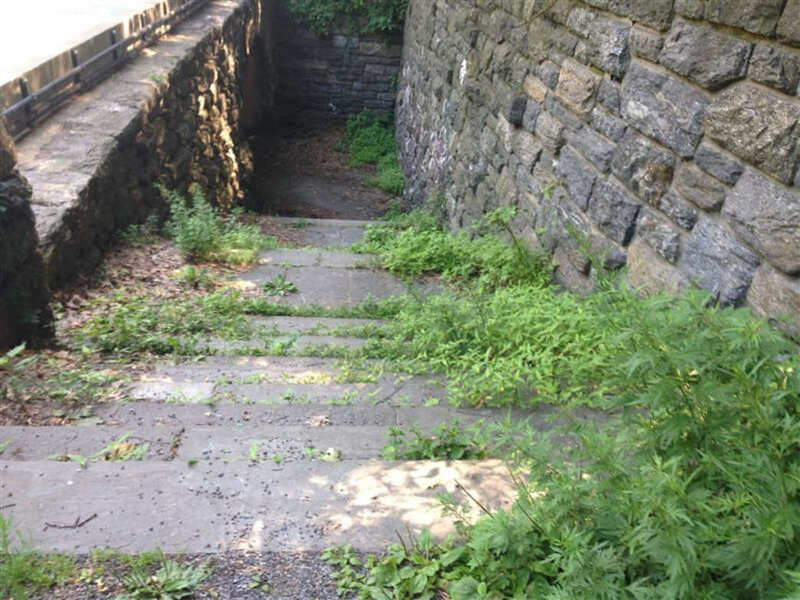 The entrance to Inwood Hills Park on Dyckman doesn’t inspire woodland running scenarios. Just the opposite, actually: the groomed baseball diamonds and paved running and cycling paths seem like they don’t end. Parts of the park are included in the Hudson River Greenway, hence the paving, but if you venture in, you’ll be amazed at what you’ll find tucked away in this little park in the Bronx. On the weekends, the park is buzzing with excited Little Leaguers and proud parents, so expect a crowd on the first bit of trail—it will die down quickly, I promise. Just watch out for stray balls and don’t stretch in the outfield (said with the voice of experience). Head down the paved trail for about a half mile and you’ll see a bridge with stairs up and down, designed to go over the train tracks and bring you in to the real park. Head up and head back down, pass a few hard-breathing cyclists shouldering their bikes and looking miserable. When you get down, there’s more paved path, and if you’re feeling skittish, stick to that for a while. But if you’re feeling bold, run through the short tunnel and pop out staring at a set of stone steps covered in moss and leaves. Blast up the 15 stairs and take in the singletrack that’s lying in front of you, begging to be explored. 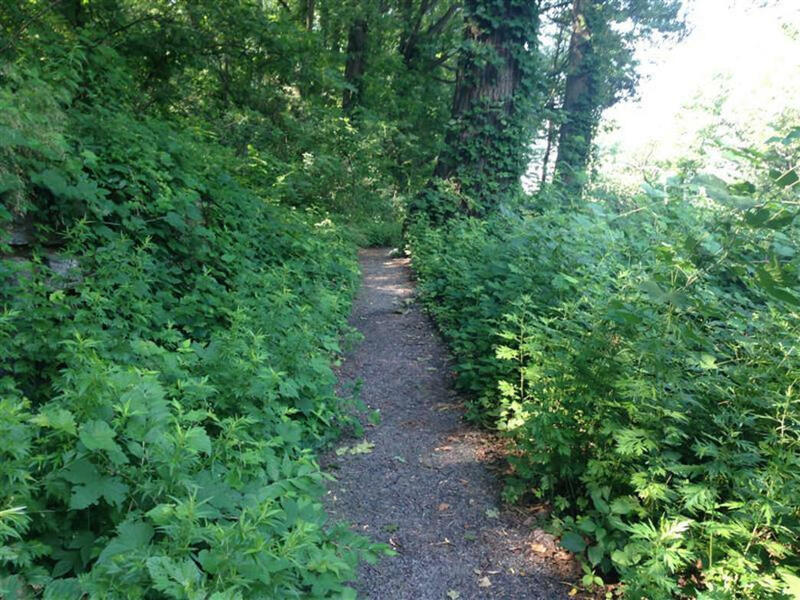 It’s overgrown and dense with foliage in the summer, but don’t be intimidated—the trails are still easy to spot. 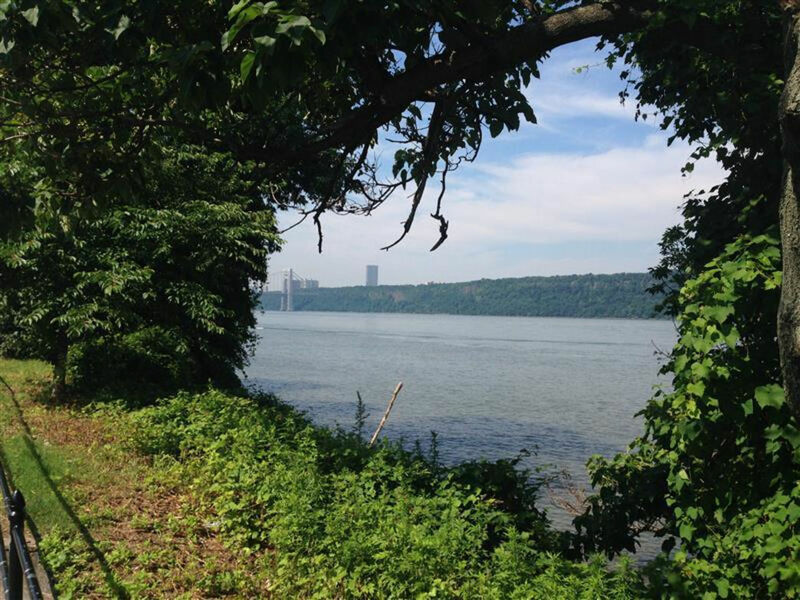 But unlike the manicured landscape of Central Park, this is a true hiking trail, not a well-worn walking path. 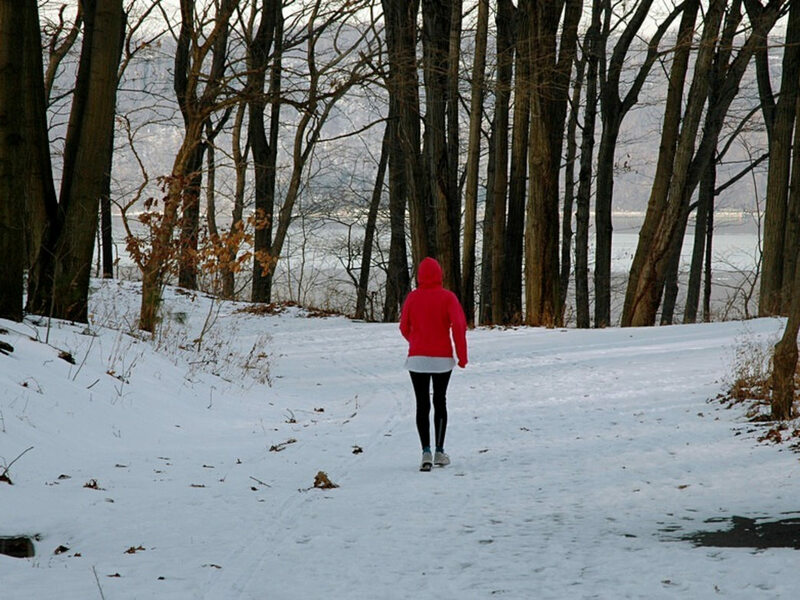 The park is nestled at the tip of the Bronx, between the Hudson River and the Harlem River—some of the trails go right next to the water, if you’re looking for the widest circle. Otherwise, you can enjoy some of the windier, shorter trails that grace the middle of the park. The terrain is technical enough that it’s more widely referred to as a hiking trail rather than a running one, but definitely run-able. And with only about two miles for the longest loop in the park, no matter where you go, you’re almost always nearly out, so getting lost isn’t an issue. 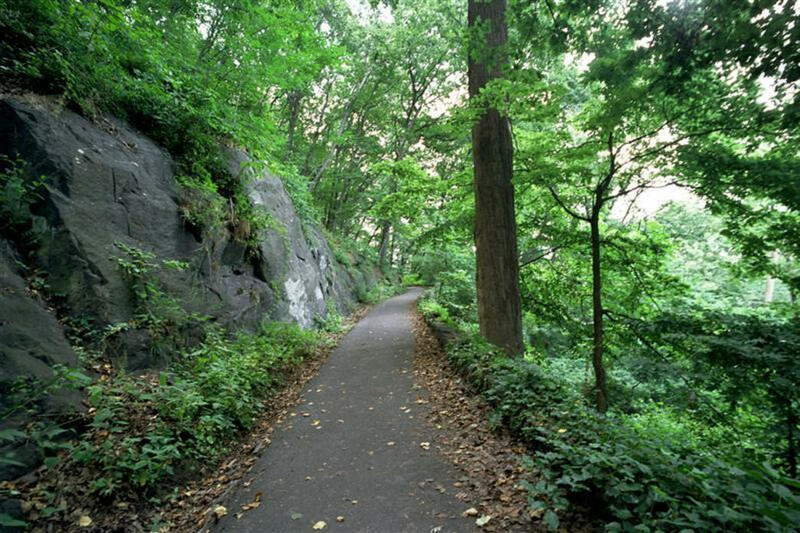 It’s also relatively flat—only a 180 foot elevation gain on the main long loop—though hill repeats can be added in by heading to neighboring Fort Tryon Park. 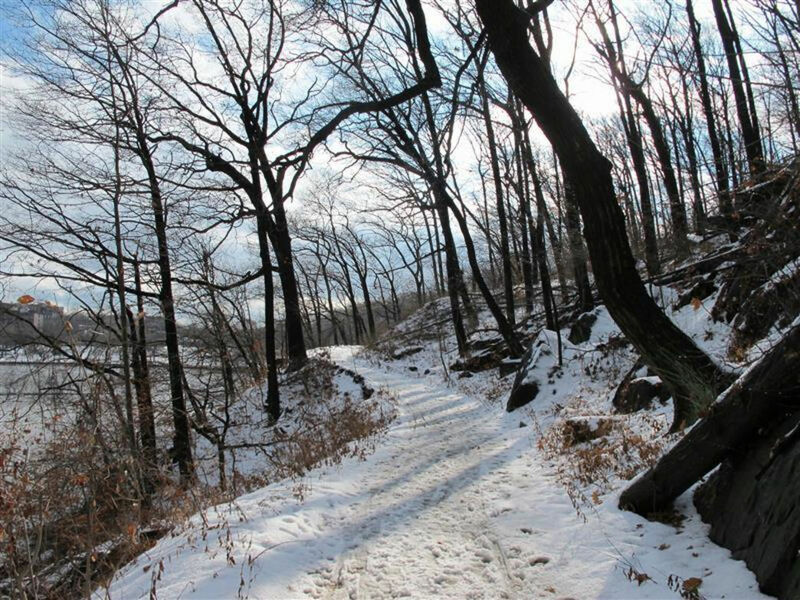 If you want company, the Inwood Hill Runners have group runs almost every night. 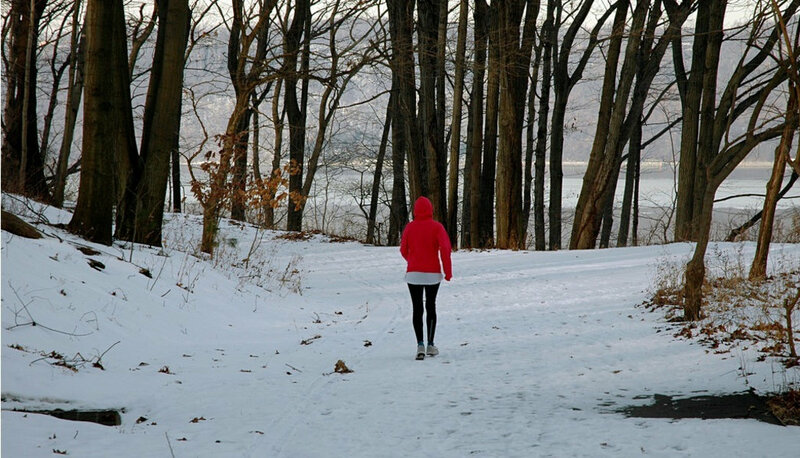 It’s always safer to run the lesser-traveled trails in a pack, especially in the city, so this is a great way to get in a run without having to look over your shoulder. 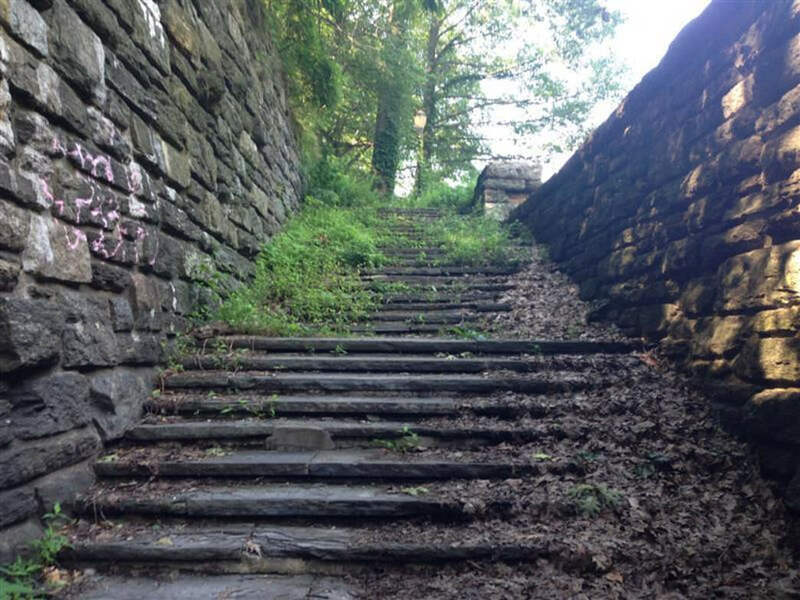 For a longer run, just hop on Dyckman, make a right on Riverside, and head to Fort Tryon, the next stop on our running tour of NYC—especially if you’re craving some epic stair practice. You can find the park at Dyckman Street and Hudson River. Get directions here.